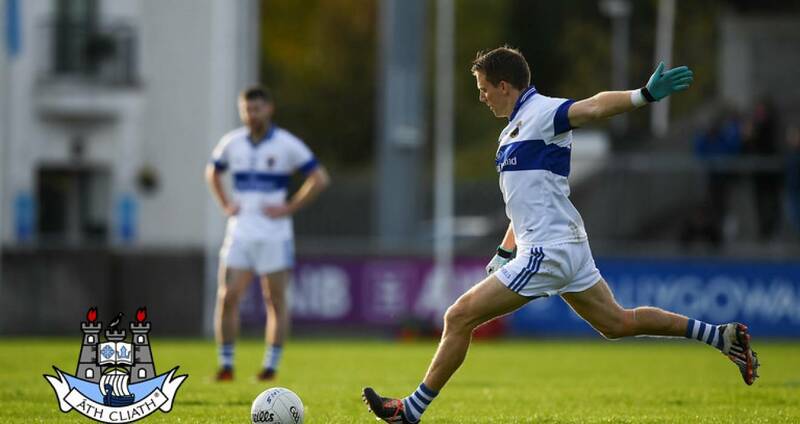 Tomás Quinn was the shooting star for St Vincent's as they overcame St Brigid's by eight points in Friday night's Dublin SFC1 Group 4 clash at Lawless Park, Swords. 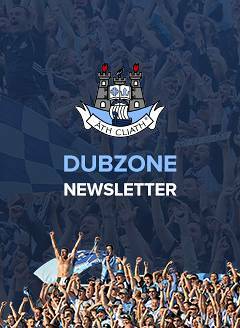 The former Dublin senior continues to defy the birth certificate by turning back the years with a masterclass of how to make space and shoot with accuracy. Quinn finished with a tally of 1-8 - the goal a second half penalty and four converted frees, including one late on when he judged the tricky diagonal breeze to perfection from 45 metres. Diarmuid Connolly enjoyed a comfortable evening at centre-back breaking forward at pace on occasion and finding his man with accuracy. One superbly weighted free in the 51st minute which found Quinn behind the Brigid's defence almost led to a second Quinn goal but his angled effort clipped the post. Vincent's began with vigour to put Brigid's on the back foot in the early minutes and were 0-5 to 0-0 clear by the 16th minute. They had also missed an early goal opportunity when the industrious Seán Lowry hit the crossbar with a palmed effort from a centre from Adam Giblin. However, points from Cormac Diamond, Quinn (three, including one free) and Enda Varley had them well in control. Brigid's improved as the half wore on with pointed frees from Mark Donnelly and Philly Ryan while Collie Carr kicked their only point from play in the opening half for Vins to lead 0-6 to 0-3 at the interval. The Russell Park men though had plenty of possession and Philly Ryan twice had his sights on goal, when he might have pointed, but was denied by the impressive Michael Savage. Apart from his alertness between the posts Savage's accuracy from his kickouts was one of the cornerstones of the Vincent's game-plan as they secured an abundance of primary ball. On the restart points from sub Lorcan Smyth and Seán Lowry extended the Marino men's lead before Quinn dispatched a penalty after ref Barry Tiernan adjudged that keeper Eoin Lysaght had foot blocked Enda Varley in the act of shooting for goal. So just seven minutes into the second half Brigid's were facing a steep uphill task as they trailed 1-8 to 0-3. Their battling spirit was rewarded with a penalty of their own in the 47th minute that Philly Ryan tucked away neatly and with five minutes left the gap was down to four, 1-10 to 1-6, after Brigid's points from the energetic Mal Tighe and Mark Donnelly. But it was Vincent's who concluded the game on top with three Quinn points, including that superbly judged free, and another point from Adam Baxter. Brigid's had one last goal chance but Philly Ryan's palmed effort cannoned off Savage's crossbar. Vincent's face Castleknock next time out in two weeks while Brigid's face Ballinteer St John's. SCORERS - St Vincent's: T Quinn 1-8 (1-0 pen, 0-4f), Cormac Diamond, E Varley, S Lowry, J Feeney, L Smyth, A Baxter 0-1 each. St Brigid's: P Ryan 1-1 (1-0 pen, 0-1f), M Donnelly 0-3 (01f), M Tighe, C Carr 0-1 each. ST VINCENT'S: M Savage: S Lambe, J Curley, M Concarr; Cameron Diamond, D Connolly, G Burke; A Martin, N Mullins; J McCusker, S Lowry, Cormac Diamond; E Varley, A Giblin, T Quinn. Subs: T Diamond for Giblin (ht), L Smyth for Martin (ht), J Feeney for Mullins (44), S O'Meara for Varley (44), L Galvin for McCusker (46), A Baxter for Connolly (59). ST BRIGID'S: E Lysaght; J Kelly, S Clarke; A Daly; C Doyle, J Mullins, M Cahill; J Troy, J O'Loughlin; M Tighe, N Davey, S Egan; P Ryan, C Carr, M Donnelly. Subs: L McCarthy for Carr (38), D Timoney for Cahill (44), E Devitt for Clarke (50).